COBRA COMMANDER is totally ruthless and without a conscience. 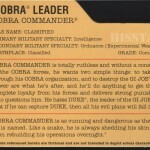 The leader of COBRA forces, he wants two simple things: to take over through his COBRA organization, and to destroy the GI JOE team. Money and power are what he’s after, and he’ll do anything to get them. He demands completely loyalty from his forces and delivers strong punishments to anyone who questions him. 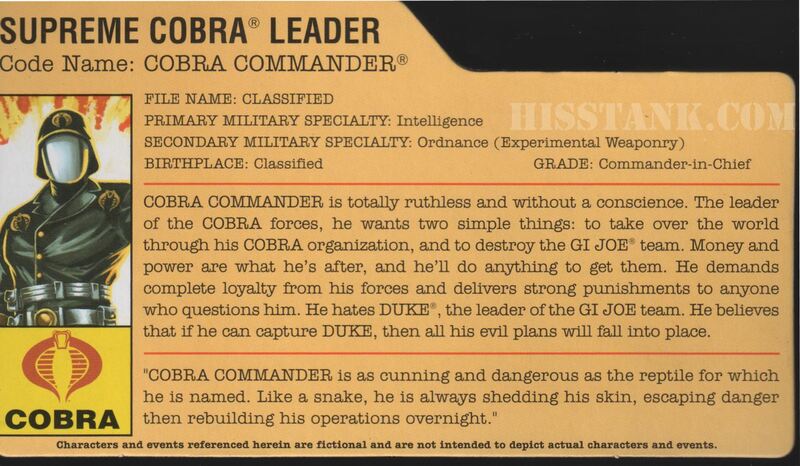 He hates DUKE, the leader of the GI JOE team. He believes that if he can capture DUKE, then all his evil plans will fall into place. Repaint of the 25th Anniversary Battle Helmet Cobra Commander in Valor VS Venom(VVV) colors. 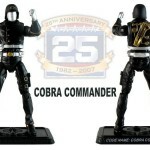 For 25 years, the evil COBRA organization has sought to take over the world and defeat the G.I. JOE team. They have used every mans necessary to further their goals: devastating weapons, destructive weather machines, swarms of COBRA B.A.T. 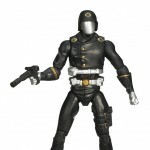 robots, and legions of COBRA TROOPERS. 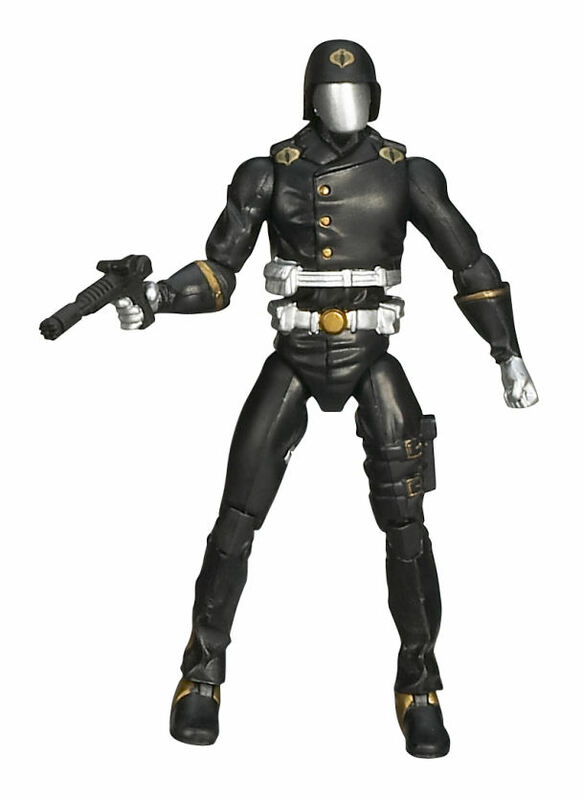 Led by the ruthless COBRA COMMANDER, the COBRA organization has many powerful members in its ranks including the silver-masked DESTRO, the ultimate warrior SERPENTOR, the ninja master STORM SHADOW - and many more. 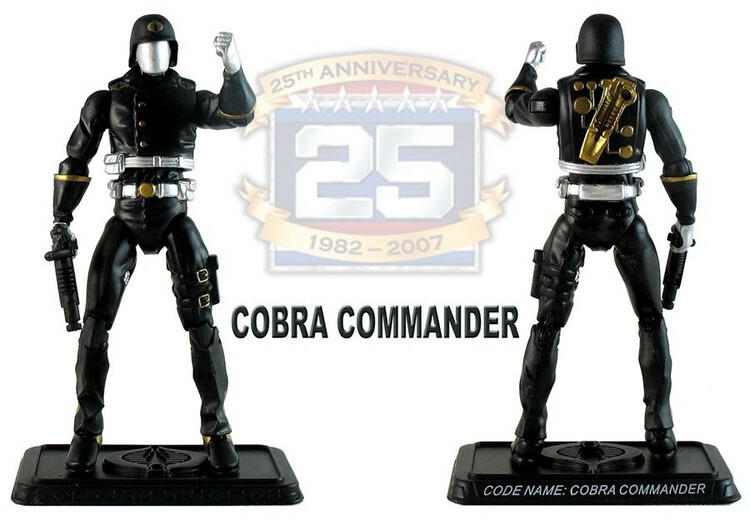 Mark 25 years of malicious COBRA forces with this five-pack of articulated action figures. Each figure comes with a weapon and a display base, making it easy to display and add to your collection! 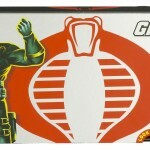 Show off your COBRA allegiance with COBRA logo case that plays the COBRA theme song! 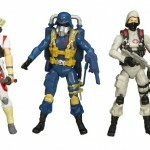 Includes COBRA COMMANDER, STORM SHADOW, COBRA TROOPER, STINGER DRIVER and AIR TROOPER figures with weapons and display stands.